OR… You can stop by the Walmart Deli! 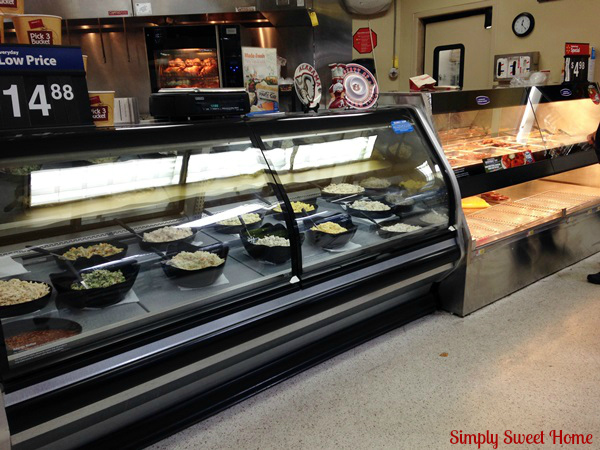 The Walmart Deli serves up a variety of bone-in and boneless wings for your football party! They are made by Tyson, so you can be sure they are a delicious, fresh, and high quality product. And their flavors include something for everyone at your party. They have Bone-In Hot Wings, and they even have Boneless General Tso’s Wings! Walmart also makes ordering easy. If you have a large order, you can call ahead or just place your order at the counter and pick up your food after you’ve done your shopping. My husband has been anticipating week one of the college football season since last season ended! And he loved the idea of celebrating the occasion with a few wings. I’ve tried several products from the Walmart Deli in the past, but this was our first time sampling the hot wings. I’m pleased to report they were full of yummy flavor! We decided to go with the Pick 3 Bucket! And aside from the hot wings, we chose fried wings and popcorn chicken. The bucket was packed pull, and in all we received 30 wings, plus about a quart of popcorn chicken. Awesome! The Pick 3 Bucket is definitely a good value at $14.88, and it is enough to feed a small family or you and two or three guests! As a matter of fact, Tyson and the Walmart Deli make it quite easy for you to have a football party without all the work and without breaking the bank. 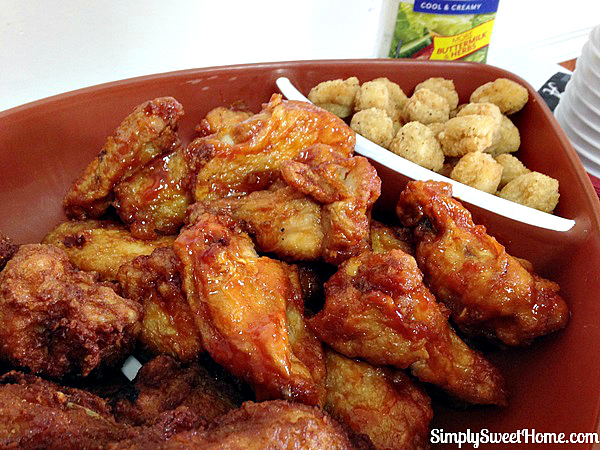 Take a look at the party platter I made with the chicken from my Pick 3 Bucket! Of course, you can’t have wings without a great sauce. My favorite thing to have with hot wings is Kraft Ranch. I also love using the Kraft Ranch in other party recipes, such as Buffalo Chicken Dip, Chicken Calzones, and Buffalo Ranch Dip! Pour Kraft Ranch Dressing in to a bowl. Stir in buffalo sauce. (Add additional Ranch for a less spicy dip. Add more buffalo sauce for more spice.) Serve with wings, chips, crackers, or veggies. For a thicker dip, add a little softened cream cheese to the Ranch. Stir until well combined. Then add your desired amount of buffalo sauce. Thanks to Tyson and Walmart Deli, we had an enjoyable game day for the first weekend of college football. 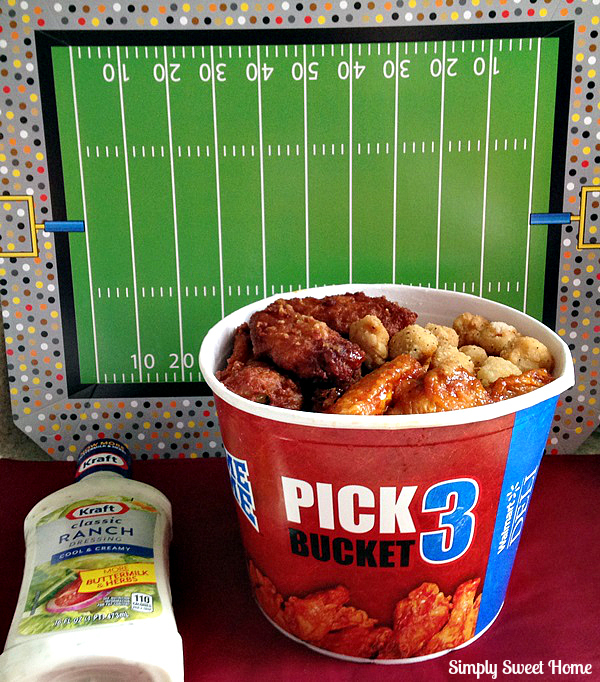 It was filled with delicious food, and the best part is I get to be the #GameTimeHero, and I didn’t even have to cook! Yay me! Have you ever tried Tyson wings from the Walmart Deli? Do you have any tips and tricks of your own for serving up easy game day food? Please share them with us! These look so yummy and convenient. I’m going to check these out next time I am at Walmart! Stopping by from the Merry Monday link party! I hadn’t tried these but I’m not sure if we have them at our Walmart- the deli definitely isn’t as nice looking as the one you’ve got. I’ll take a look though- the wings look yummy. I have tried these and gotten them for my son and I for game day. They taste so delicious and I am going to have to make the buffalo ranch dip!! I love you décor for football! We always go all out for our football watching parties and Tyson brand is our first choice to serve over other brands. 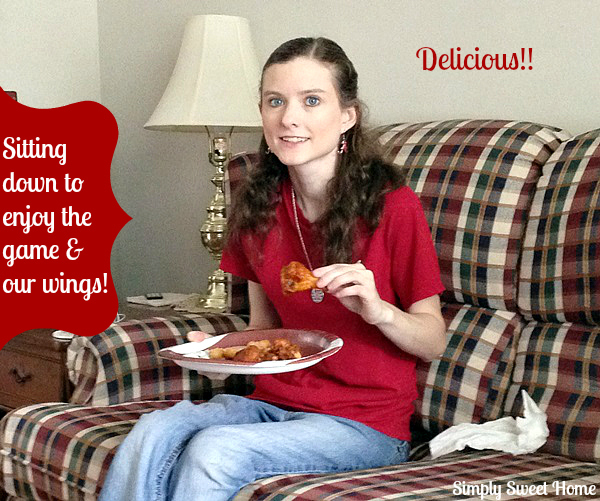 We love wings at our house and definitely don’t need an occasion to pick some up. Now, I’m thinking about grabbing some this weekend. We are big fans of football around here. This is something I will be using! Those look good…too bad our Walmart doesn’t have a deli…. We love to snack on wings during games. I’m definitely going to give your Buffalo Ranch Dip a try—sounds delicious! I have never tried the hot wings from the Walmart Deli. But I can tell you we will be trying them very soon! My husband loves Hot Wings. I just hate going through all the hassle to make them most of the time. The pick 3 Bucket would be perfect for my family. Thanks for sharing this. perfect football food, cant wait to try them. thanks for sharing. I haven’t tried Tyson wings from the Walmart Deli, but I definitely will. They look SO yummy! 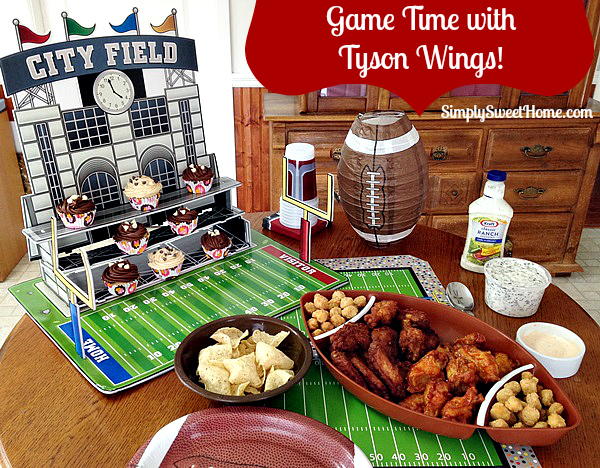 This Is Perfect For My Family, We Love Chicken Wings, Especially Tyson Brand! I have not see these at the Walmart close to me. This would be such an easy solution for game day. This looks delicious! Perfect for game day! These look so good! Perfect of game day. We love Tyson’s boneless wings. The Buffalo Ranch Dip sounds yummy! Thanks for the recipe. Definitely going to give it a try. All of that food makes me anxious for the family gatherings and good food that we will be having next weekend. We love to watch the games together and Tyson is a great brand. Oh I will have to check these out! 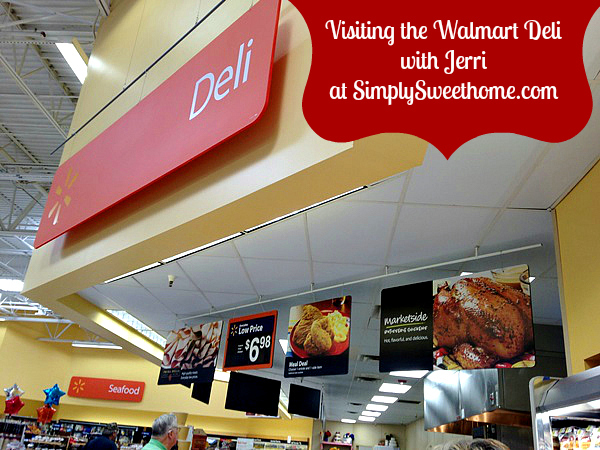 I shop at Walmart on and off…but have never tried their Deli. 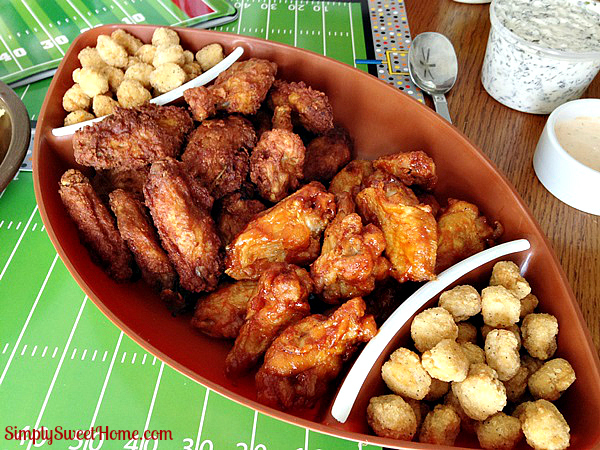 My son loves the wings….he would love if I pick up the bucket for one of our football games! What a great idea for game day! I would love if you would stop by and share this at Celebrate It! It’s a blog party where we celebrate all the big and small moments that make up everyday life.